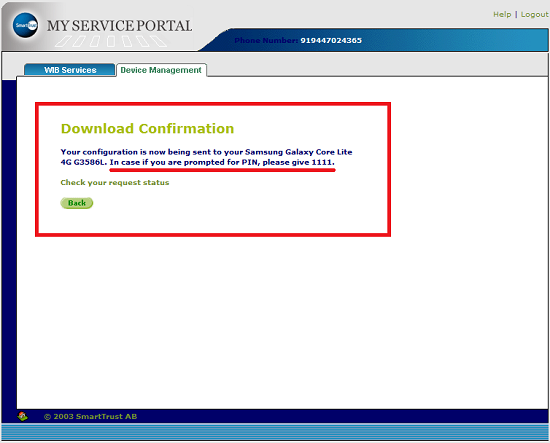 How to download BSNL 3G/2G Internet Settings and MMS Configuration for your Mobile Handset through Online Portal? 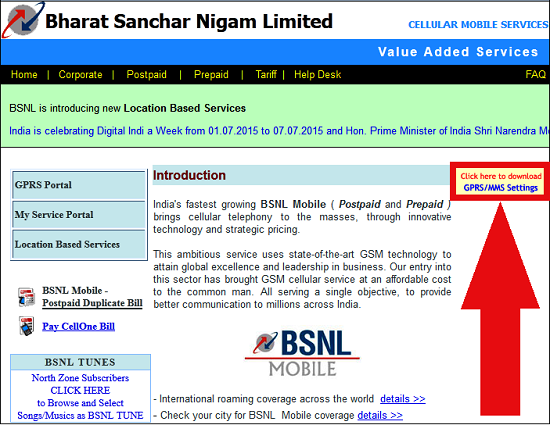 PAN India 3G Service provider, Bharat Sanchar Nigam Limited (BSNL) launched Online Portal to download 3G/2G Mobile Internet Settings and MMS configuration. 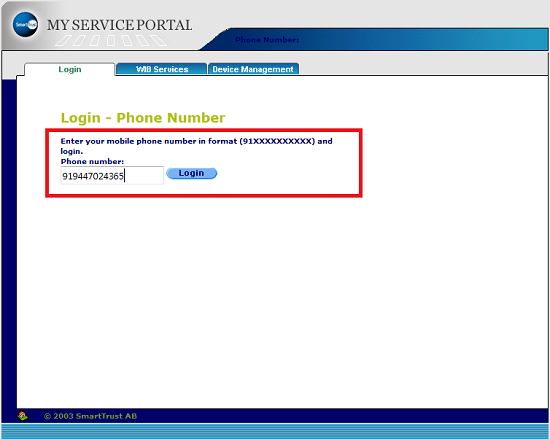 Customers can directly log in to the BSNL Portal, put in their mobile numbers and within minutes the settings will be delivered to their mobile phones. Through this portal, BSNL promises faster delivery of operator settings. The online portal allows BSNL Prepaid and Postpaid Mobile customers to download handset configuration settings for Mobile Internet (3G/2G) and MMS (Multimedia Messaging Service) within seconds. BSNL launched this portal in a bid to provide grater satisfaction to customers and to make mobile internet service more flexible. Unlike other operator where each time when a customer gets a new phone they had to key in a specified keyword and had to send them to a special short code and there was no assurity when the settings would be delivered. 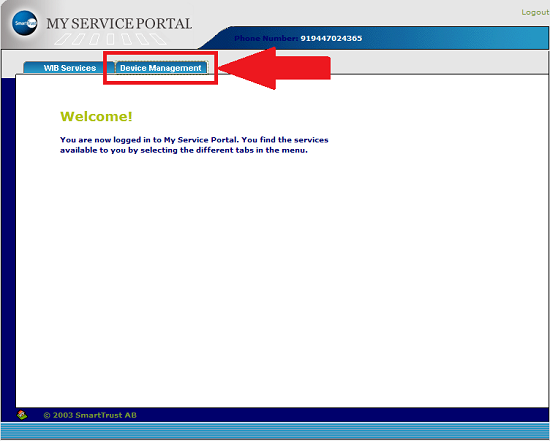 Manage SIM CellOne Menu : Here you can manage CellOne menu items of your SIM through Web. 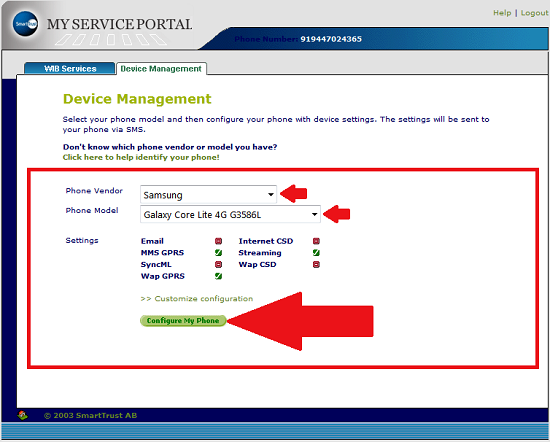 Now, the configuration will be sent to your mobile handset. In case if you are prompted for PIN, please give 1111. 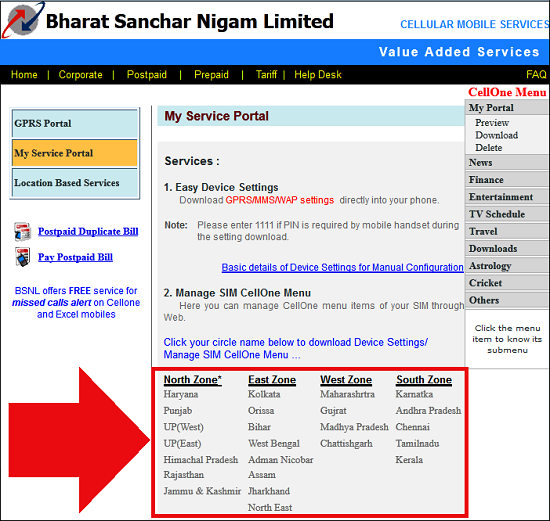 Hope this article would help to configure BSNL 3G/2G Mobile Internet Settings and MMS Configurations in your handset. Dear readers, please share your views and opinions about this article and BSNL 3G internet services via comments with us. This page http://cellone.in is not opening, I tried many times.